Single behavior charts are designed for kids who are focusing on one single behavior that you’d like to see more of. Write the behavior your child is working on at the top of the chart. Every time you notice your child practicing the behavior that you’d like to see more of, you can place a star, sticker, checkmark or smiley face in the box. Set a goal of how many stickers or smiley faces your child needs to earn each day. When your child reaches that goal for the day he/she will earn a reward. Younger children may do better using a more simplified chart that focuses on filling boxes until the goal is reached. With older children you may choose instead to use a weekly chart to keep track of your child’s progress. The chart should be kept in a readily accessible and visible place – this helps your child remember to follow it. What place is appropriate will depend on the behavior you are working on. For example, if you are working on saying please and thank you, you might keep the chart on the refrigerator. If you are working on sharing toys, you might hang the chart in the play area. As your child consistently meets the goal, you can increase the goal a bit or you might choose to celebrate together and then choose another behavior to focus on. 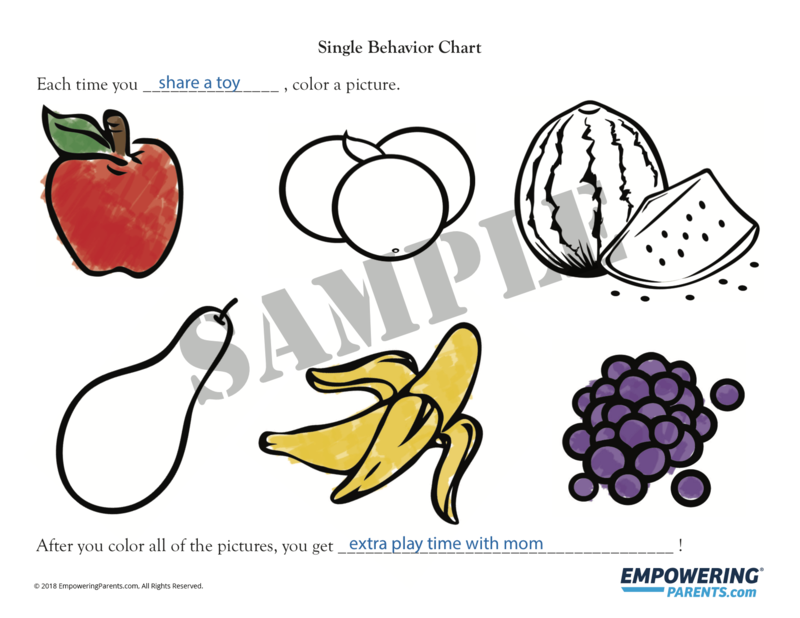 Get your free Behavior Chart for Preschool Kids now!